It’s a tale as old as time. And it replays every season. At the beginning of the season you and your squad are full of energy and motivation. Goals are set, a plan is laid forward, and full of purpose you all lurch forward together. But despite good intentions, things start to fall apart for some of the swimmers on the team. There are a lot of reasons for this. 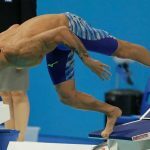 Injuries, which are a frustratingly common reality of swimming (and sport, in general). Swimmers moving. Competing interests. And usually, onlookers will simply brand the swimmer who fell off as someone who just doesn’t want it badly enough. Which, to be completely honest, might be true. But a lot of those swimmers want to succeed. Badly. But they are so frustrated and dejected that it feels like no matter what they do, they are unable to make any kind of meaningful progress with their goals in the water. Why do we struggle so hard when it comes to staying to being committed to our big goals, even though we really, really want them? 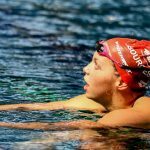 While every swimmer’s situation is different, I think one of the big problems is that commitment is treated as something you think you should feel, and not something you work on, like a skill. If you are still with me so far, let’s hop into the deep end with this stuff. 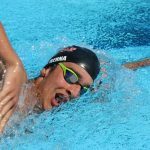 The approach swimmers tend to take with commitment is to throw all of their motivation, inspiration, willpower, psych-up playlists, motivational memes, and so on at it in the hopes that it will sustain them for the duration of the season. But this white-knuckle approach can only last for so long. And it leaves a lot to chance. Because there will inevitably be adversity, failures, and high-grade excuses chomping at the bit to knock you off your commitments. Being perfectly motivated every day is tricky. Motivation ebbs and flows depending on how rested you are, how stressed you are, and much more. If only I was more motivated, than I would show up to practice every day. I wish I were more motivated, it would make working hard so much easier. There will always be days where the last thing you want to do is show up to the pool and work your tail off for two hours. This feeling isn’t unique to you. And yet, plenty of swimmers are able to breeze through those dips in motivation. I’d argue that one of the reasons is that it’s because they’ve learned and mastered the skill of sticking to their commitments. 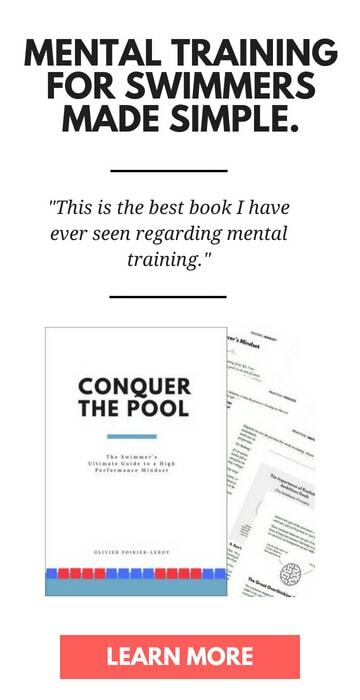 Wielding commitment like a skill provides a double-whammy of hyper-improvement in the pool. Not only are you able to stick to the important things in their training, whether it’s nutrition, better sleep habits, or pushing through the main set, you also benefit from the irreplaceable confidence that comes from knowing that whatever you decide to commit to, you will see it through. Long term commitment for a massive goal is kind of weird, too. Although long term goals are something we talk about a lot, we aren’t really wired for it. On balance, it’s a fairly risky thing you are doing. Sure, you will feel awesome if you work hard every day for the next couple years and achieve that big goal of yours. But what if you spend all that time and energy into sharpening your technique and building up your conditioning, only to come up short? The thought of that pain, for many swimmers, is greater than the potential pleasure that comes from being successful. Which makes half-hearting their training easier—after all, if they put in half an effort, they can easily justify a sub-optimal performance on race day. 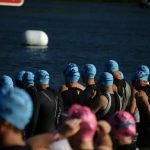 This reasoning is silly when we step back and think about it: purposely sand-bagging your swim workouts, wasting your time and energy, just so that you have a good excuse at the end of the season is absurd. Might as well give it your best effort all the way through. And that starts with keeping the commitments you make. Changing your commitment on the fly is ripe for problems. Something baffling happens the exact moment you make a commitment. Let’s say you commit to running stairs for 15 minutes after your morning swims. 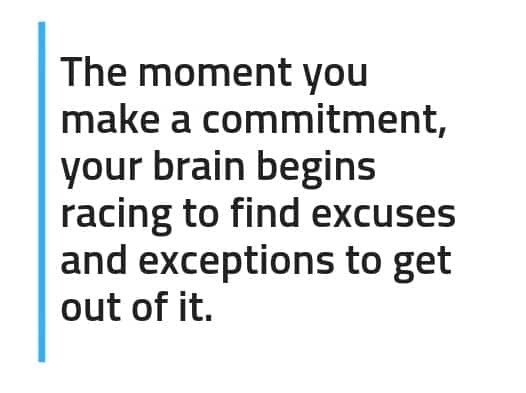 Before that commitment has even made it out your lips or into your log book, your brain will immediately and relentlessly start looking for ways to make adjustments or shake loose from the commitment. You aren’t going to have enough time to get ready for school. You did a big kick set in the pool, so your legs could use the breather. It’s almost insane: the moment you decide you want to do something, the other part of your brain is challenging you to find exceptions and excuses to get out of it. There will always be an excuse, an exception, a reason why you can’t. Always. Your brain will get so creative with its ability to conjure up exceptions that it will stun you. Don’t let it. Exceptions are fertilizer for new exceptions, and the only thing worse than the passing unpleasantness of sticking to your commitment when you have every reason not to is the guilt and “See, told you that you couldn’t do it” that we feel when we abandon our commitments. If you need a degree of flexibility within your commitment, start with it built-in instead of adding it on once you get started. I’m a big fan of big, hilariously ambitious goals. But often these goals are created by a swimmer who has no realistic intent of following through with them. Big goals and commitments are sweet, but if you don’t have the track record of sticking to them, they almost immediately create problems. Blindly boasting about your massive commitments—and then swiftly tanking on them three days later—does something much worse than slow your improvement in the pool: it conditions you to the belief that sticking to commitments is not something you can do. 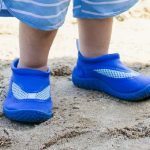 Better to soberly assess and think through your commitments than going bold and flaming out, reinforcing the idea that committing to stuff is not your bag. I know, it’s way more fun to go huge with your commitments. I’m going to the Olympics! I’m going to smash a world record! I’m never going to miss a swim practice for the rest of time! Nobody wants to be the swimmer that does one dolphin kick off the wall. We want to be the swimmer who does seven of them. There’s not much glory in being the swimmer who makes marginal improvements and commitments. We mistakenly believe that there is not enough progress to be found in small commitments, believing that the only way to achieve big commitments is to go all in from day one. But if your commitment skills aren’t that great, start small. The big ones will be there waiting for you once you are prepared for them. Tip: Commitments work best when they are under your control. So, things like effort, or how focused you are in practice, are great commitments. Things that depend on others, like getting to practice on time (if your parents are always running late), or winning every rep of the main set in practice (your teammates might have something to say about this) leave your commitment up to chance. Sticking to your commitment is the real game changer. We don’t often think of commitment as a skill. Rather, it’s something buried in the mindset and attitude of the elite swimmer, something lost in the lore and mythology of elite swimmers. Something forged from the piping hot furnace of willpower that the mentally strongest swimmers around us have. “It’s because they want it more,” we tell ourselves when we see the athlete who makes it to every practice, on time, and works hard. 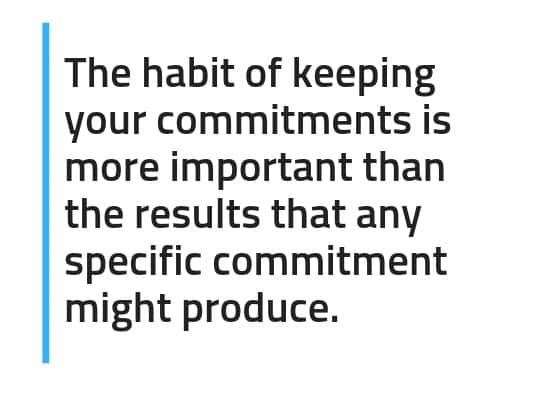 But keeping your commitments is something we can all work on and be better at. And the application of being realistic and consistent with your commitment-making goes well beyond the pool. The trick is to eat a piece of humble pie and start smaller if you are continually battling to keep consistent with them. Because as you get better with your ability to see through your commitments, the more capable you will become for the massive commitments that will yield even bigger results in the water. Your identity will shift to being someone who locks down their commitments. 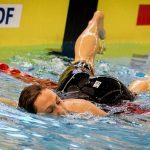 This is why I recommend starting with something small, even if that small commitment does only marginal things for your swimming at the beginning. Getting better at committing to stuff will help you do just about anything. Once you master the ability to negotiate with the excuses, to make commitments that are realistic and doable, and you are able to essentially place them on auto-pilot, big goals and dreams will tumble down before you. There is no greater power than having the confidence in yourself to know that no matter what you set out to do, it’s basically already done. The decision has been made. And that’s that. Things like having to get yourself super motivated every morning to go to practice won’t be an issue. Needing a pep talk after a brutal practice won’t be necessary. The emotional roller coaster of the season, the ups and downs and wins and losses will all fade into the background as your steadfast commitments lead the way for you. Committing over the long term puts you in rarefied waters. Few people have the patience do what it takes each day in practice to be a champion swimmer. Sure, they can show up and bang out a few great workouts, but when they don’t see enough improvement, or realize that there is still a metric ton of work still to be done, they lose enthusiasm. They lose patience. And they either start all over again later, or worse, fully give up before realizing their potential. 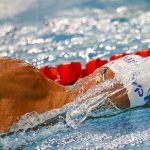 Understanding how to wield your commitment-making for your benefit will give you a layer of self-awareness and opportunity that few swimmers ever get to experience. Okie dokes, we covered a lot of ground there. Start with smaller commitments to build momentum and confidence. Consistency with your commitments is everything. Demonstrate to yourself that you can keep your word. Don’t let FOMO drive you to make big, redonkulous commitments that you won’t be able to sustain. Sharpen your commit-making skills by starting out with “easy” and manageable ones. Stick to fewer commitments. Your big goals will dictate big things need to happen in the water. Which can lead to you wanting to make 74 new commitments when it comes to your swimming, your training, your lifestyle habits, and so on. Commitments work best when few in number, especially if this is a skill you are just beginning to master. Pick a couple high-impact areas to throw your energies into and be ruthless about avoiding the too-good-to-be-true shortcuts and distractions along the way. 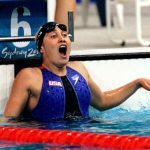 Overcommitting is a problem in itself (and something I will cover in a future newsletter), as trying to wholesale change everything in your swimming at the same time can water down your efforts and leave you feeling overwhelmed. Fewer is not less. Make the commitment the goal. Not the results, or the expectations you have for what the commitment will do for you. Often we abandon our commitments because we get frustrated that the results they are supposed to provide aren’t materializing fast enough. The goal is showing up and fulfilling the commitment. The results will flow naturally with time. Finishing > Perfection. There will be days where the universe seems determined to prevent you from completing your commitment. Struggle through anyway. Finishing should always be the goal, not doing it perfectly or holding your commitment up to some ludicrous and impossible-to-attain standard.